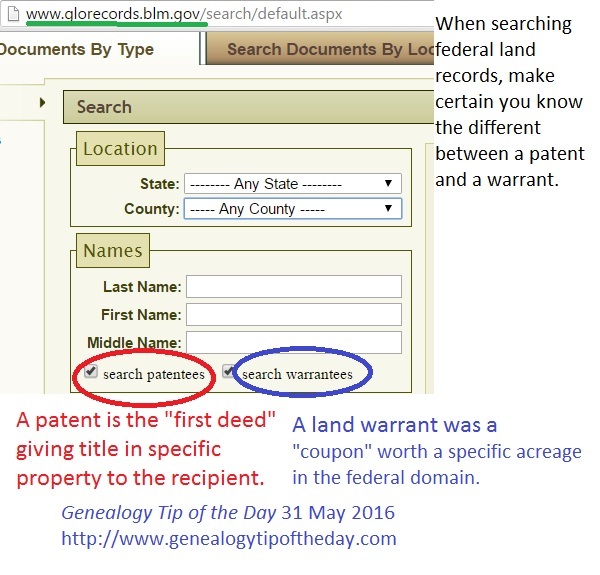 When searching the Bureau of Land Management website, make certain you remember the general difference between a federal land warrant and a federal land patent. A federal land warrant is good for a specific acreage of property in the federal domain–without stating precisely where the property is at. A federal land patent is a document that transfers title in a specific piece of property from the federal government to an individual. Did They Make A Pit Stop? I always knew that my Trautvetter family settled immediately in Illinois upon their arrival from Germany (based upon the ship manifest and the property purchase date). It was much later that I would discover that several of my Trautvetter’s brothers had spent approximately ten years in north-central Kentucky only to move to Illinois shortly after he did. I assumed they all went to the same place at the same time. Sometimes settlement is not immediate and sometimes people make a pit stop along the way. 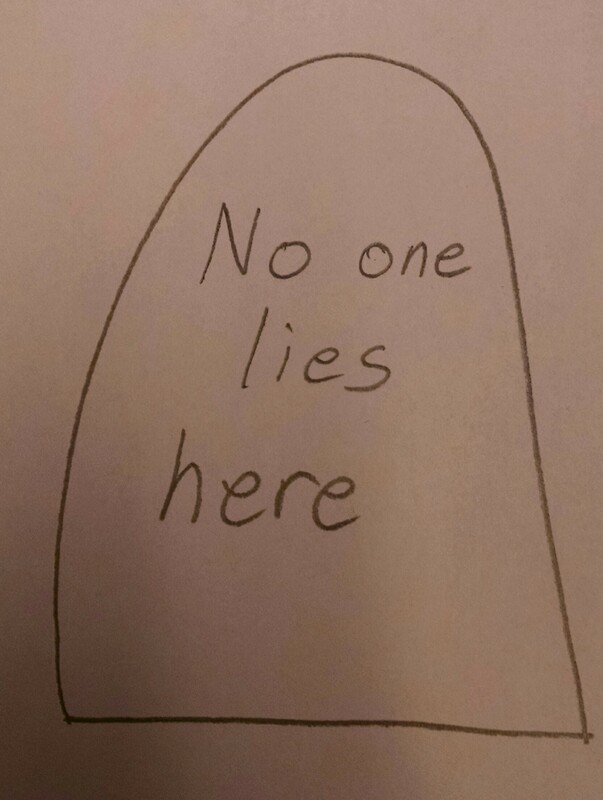 A transcription of a tombstone should only include what is on the tombstone. That’s what makes it a transcription. 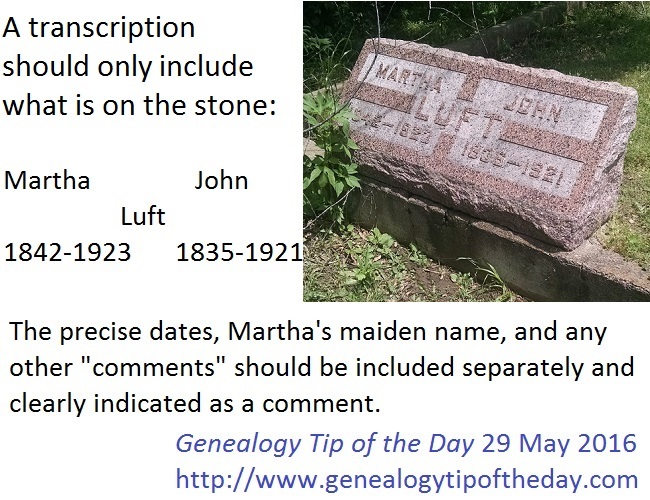 Any parenthetical information preferably needs to be entirely separate from the transcription itself and clearly indicated as material that is not on the stone. Brackets should be used to indicate there’s a portion you cannot read or a part of the transcription at which you are guessing. 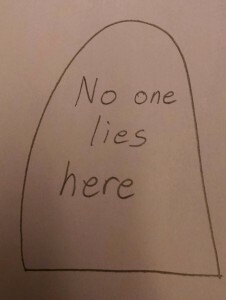 Parenthetical information may be helpful to other researchers, but only indicate something is on the stone if it actually is on the stone. Is That Cemetery on Private Property? Some rural cemeteries, especially very small ones that are no longer used, may require crossing private property to access. If this is necessary, obtain permission from the landowner before attempting to access the cemetery. Cemeteries that are along a roadside or have public access are a different story, but there also may be restrictions about “visiting hours,” decorations that are allowed, etc. Are You Using a Copy? Years ago, I used the declarations of intention from Hamilton County, Ohio. The courthouse has had several fires. When I saw the declaration of intention for my ancestor it looked a little unusual. When I saw the declaration after his I realized the the signatures were in the same handwriting as the document and were the same handwriting from one document to another. Turned out (when I read the prefatory material on the microfilm) that the declarations of intent I was using were transcriptions made from the damaged original after one of the fires. An ancestral sister had a baby a few years before her marriage to her husband in the 1860s. Court records from the estate of the baby’s grandfather (the father of the sisters) make it clear that he and his wife raised the baby. The child grew to adulthood and have children of her own. One researcher decided to change the child’s date of birth, the couple’s date of marriage, and the baby’s last name in order to make it appear to be the husband’s child. Report what you find, but don’t change what you locate in order to present a different story from the reality. Did They Separate Forever But Not Divorce? Your ancestors may have permanently separated but never divorced. In some cases, one spouse may have sued the other one for separate maintenance (in which case there may be a court record). If there’s not a court case, a deed separating property may be recorded wherein who has sole title to what property is clearly stated. If the couple had no real or personal assets, there is a lower chance of any resulting record. Searching deeds requires the researcher to look for a time after the actual document was drawn up and signed. Purchasers usually recorded deeds relatively promptly, but not always. If the courthouse was a distance or difficult to get to, it may have been years before the document was recorded. And sometimes people simply forgot to record a deed and did not realize it until the property was sold or the owner died. 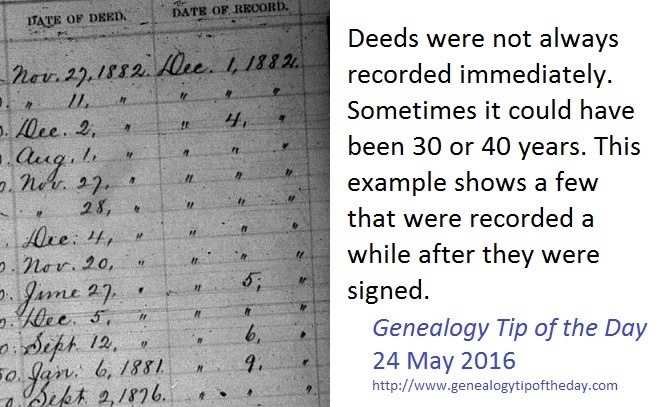 Don’t assume that your ancestor who lived in an area from 1830-1840 would have no deeds of sale recorded outside that time frame. 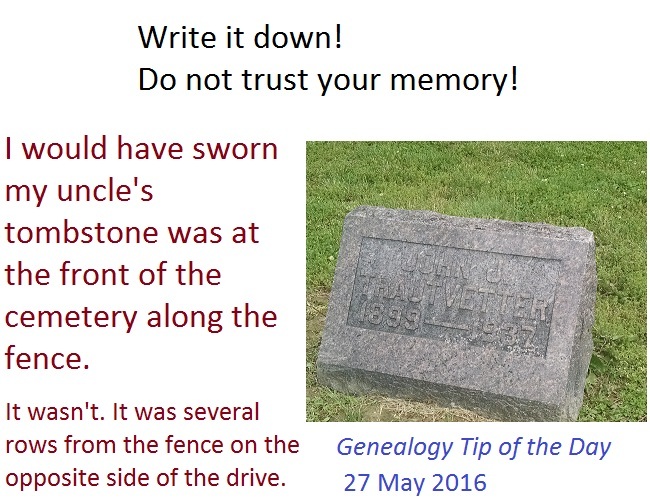 Always consider the possibility that your ancestor has no tombstone. This can because one was never erected in the first place or because the one that was erected has deteriorated beyond readability.